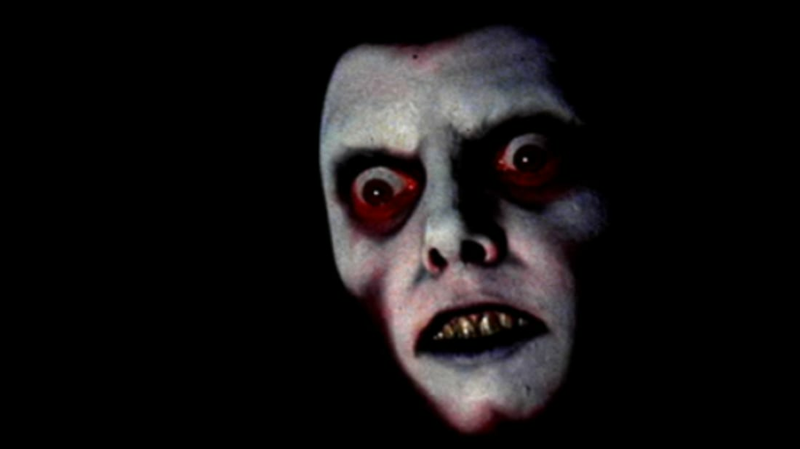 When director William Friedkin’s The Exorcist opened in 1973, it quickly became one of the most critically acclaimed and financially successful horror films of all time. Unlike the slasher movie antagonists of the 1980s, Friedkin’s adaptation of William Peter Blatty’s novel was uninterested in winking at the audience. He was interested only in terrifying them, which he did to unprecedented effect. Local newscasts reported viewers fainting, vomiting, and fleeing the theater, shaken by the film’s explicit depiction of a young girl named Regan MacNeil (Linda Blair) possessed by demons and exhibiting blasphemous behavior. But it’s possible they may have been just as unsettled by what Friedkin decided to insert into the film surreptitiously—a frightening, subliminal image that was funneled straight into the audience’s subconscious. The fleeting shots were part of Friedkin’s strategy to unnerve moviegoers using both visuals and sounds that he felt stood the best chance of creating an uneasy atmosphere. The face was intended to represent one of the demons inhabiting Regan and appears for roughly an eighth of a second each time. Interviewed by Entertainment Weekly about the technique in 2012, Friedkin lamented that home video gave most of his secrets away. “You couldn’t catch it before VHS,” he said “And now you can stop the DVD and stare at it.” Not that you'd want to.